Okay, we're pretty sure this didn't happen at last night's GOP debate. But since the debate hasn't taken place at the time of this writing (the Renaissance), we can't really say anything with any specificity - much like most political candidates. ...the weird incident in which Iranians seized 10 sailors aboard two US Navy ships which had inadvertently entered Iranian waters. The ships and sailors were later released, which earned Iran a big fat "thank you!" from Secretary of State John Kerry along with a renewed promise to expedite the $150 billion jackpot they recently won playing presidential Powerball. But after Washington officials had praised the kid glove treatment our sailors received, Iran broadcast video across the region of them kneeling on a ship's deck, hands on heads, held at gunpoint. The Geneva convention specifically forbids the taking and distribution of such propaganda images, but then again Iran has never been known for honoring conventions, UN sanctions, treaties, or (ahem) nuclear deals. Hope n' Change certainly doesn't find fault with the sailors who, we're sure, had very specific orders not to engage in hostilities with Iran (our newest and most important Mideast ally). But the sight of Americans on their knees makes us want to kick some asses. In Iran and Washington. 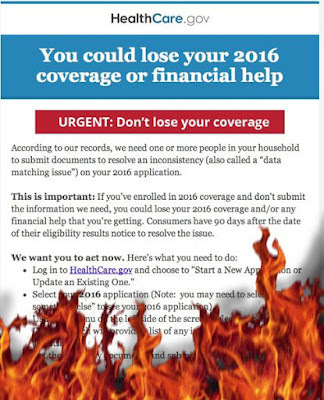 Yes, we received this email from Hellcare.gov today AFTER submitting our tax records three times and copies of every bit of documentation (1099 forms, bank statements, etc) we could lay our hands on. And still they're threatening to kill our coverage (not to be confused with killing daughter Jarlsberg's insurance, which has been a separate fustercluck). So we had to call Healthcare.gov yet again today, made our way through the telephone maze to direct our call, then gave enough highly personal information for the computer to research our records and say "we have no record of you having ever applied for insurance." Eventually (we spent our 15 minute hold time on doing the graphic above), we spoke to a very nice young woman who apologized profusely for all of the screw-ups and wasn't entirely sure how they could be fixed. After reviewing everything for about 45 minutes she suggested that we write a detailed letter and submit it electronically to the Marketplace website...and include with it another copy of our taxes and another copy of more documentation than Barack Obama ever produced to prove presidential eligibility or college attendance. Note to Nikki Haley; this is why "angry voices" are exactly what America needs more of. Okay, this probably didn't happen last night. And for anyone who doesn't know, sodium pentothal is commonly known as "truth serum" and we hope to see it used on every member (current and former) of the Obama administration sometime in the future to assure accurate prison sentences. 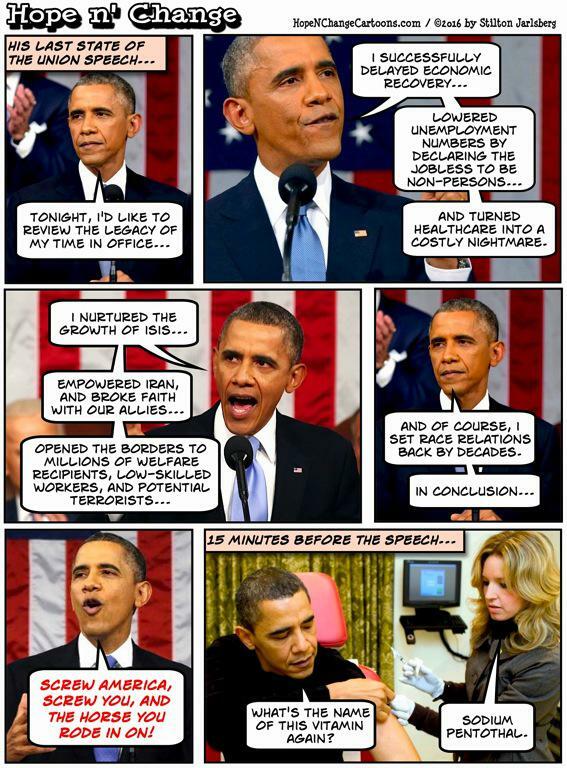 Still, we felt like enjoying a bit of pleasant fantasy on the occasion of Barry's last State of the Union address (assuming our "October Surprise" isn't his declaration of martial law). While he still has a full year to do untold damage, at least the countdown for his exit is finally happening. Of course, we couldn't fit all of his (ahem) "accomplishments" into the cartoon above. Let us not forget that in seven short years, he's also managed to polarize our society as never before, poison the relationship between police and communities, make astonishing numbers of people dependent on government benefit programs, crushed the middle class while enriching those at the very top, and chummed the waters for the international "climate change" sharks to take a big bite out of American prosperity. And although he has long harped on the subject of gun control, he's done nothing to take guns out of the hands of actual criminals and gangs. But at his final State of the Union speech, Obama will call attention to an empty chair in the first lady's box (about which we're tempted to make a joke but won't) which represents "the victims of gun violence who no longer have a voice." We think that empty chair might better symbolize the missing government functionary whose job it was to screen Islamic jihadists Syed Farook and Tashfeen Maleek before they were allowed into the country to commit the largest terror attack in America since 9/11. 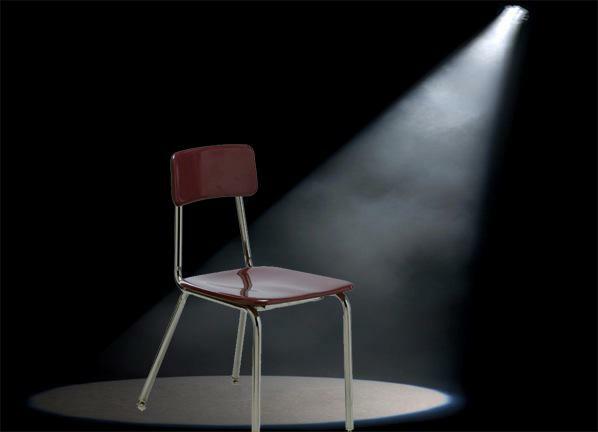 And there should be another empty chair to represent those brave Americans who died in Benghazi, and additional empty chairs for those shot with guns from the president's disastrous "Fast and Furious" program. Surely Kate Steinle, brutally murdered by one of the president's illegal immigrants in a Democrat "sanctuary city" deserves an empty chair. There should be empty chairs to symbolize every soldier killed overseas while following the orders of a president who didn't believe in his own "strategy." Empty chairs for the Christians slaughtered overseas without a peep from this administration. And empty chairs for every man, woman, and child killed by Syrian chemical weapons after the president turned his back on his "red line" commitment and (bonus!) destroyed our nation's credibility. In fact, the more we think about it, the president's address would most appropriately be given to a chamber in which every seat is as empty as the vapid promises he made to bring positive change to our nation. But to end on an optimistic note, just remember that a year from now Obama will no longer be able to deliver his smug, poisonous lies to a joint session. In fact, the only "joint sessions" he's likely to attend in the future will be back in Hawaii with his choom gang. THIS empty chair isn't symbolic. We just want to use it to smack the noggins of anyone who voted for Obama twice. I'm aware that people come to Hope n' Change for a pithy analysis of the news rather than to hear my personal woes, so let me handle the headlines first: "smoking gun" emails from Hillary have been revealed that show she committed felonies. She will get away with them. An angry Muslim shot a policeman multiple times in the name of Allah because police enforce non-Shariah laws. Authorities assure us this had nothing to do with Islam. And finally, tomorrow will be Barack Hussein Obama's final "State of the Union" speech, and he will tell not an iota of truth. And when I say "lighter" it's because I wish I was currently holding one under a bong filled with weapons-grade hashish to dull my current Obamacare-inflicted woes. On Saturday, I received a phone call from daughter Jarlsberg (in her 20's), who was upset because she'd gone to the pharmacy to pick up her epilepsy medications (important, right?) and had her spanking new insurance card rejected at the cash register because the policy had been "terminated." Rather than immediately go into seizures, she paid cash for the prescriptions at the uninsured price - over $300 which she doesn't have to spare. So I tried to help clear up the obvious mistake, first by logging on to the website of her insurer: Blue Cross Blue Shield. No luck - nothing but rejections and system errors. So I called them and spoke to a "web support" specialist who assured me that the problem wasn't on my end. "It's always like that. We keep telling them to fix it, but..."
I pointed out that I had the same problems months ago. "Oh yes, this has been going on forever." Great. So I explained my daughter's problem...and was told that she was no longer in the system. I pressed harder, giving additional information like her group number and member ID. "Oh, here she is," said the woman at last. "Her policy was terminated by the Healthcare Marketplace." "We don't know. The Marketplace doesn't tell us." "But her plan was approved! She got her card! She has a receipt for her premium payment!" "There's nothing we can do. You'll have to contact the Marketplace." So I went to Healthcare.gov and looked up her record. Clicking on the button to see "insured status" did nothing except to show that her application - from months ago - was completed and had been ruled on. To see that ruling, one needs to download an "eligibilty" PDF, which I did. And as always, it showed blank forms with lines and logos and no information. But I've played this game with them before: choosing "select all," I copied all of those blank spaces and pasted them to a plain text document. Presto! The words appeared, telling my daughter that everything looked great and she qualified for a subsidy. What could possibly go wrong? 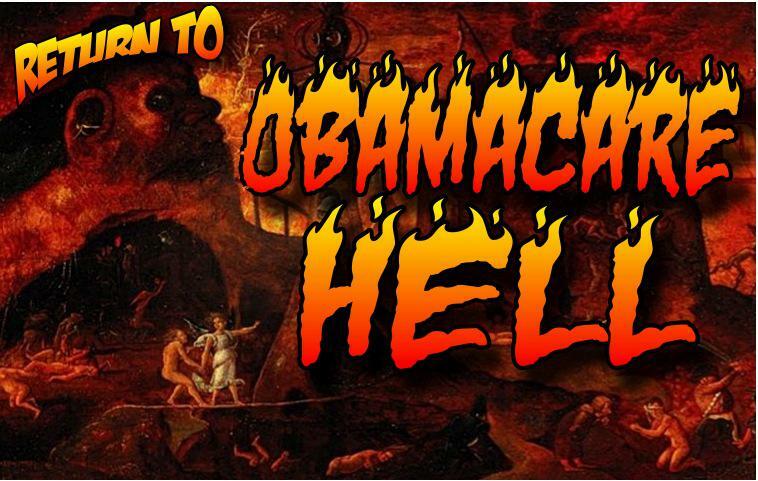 So I called Healthcare.gov to straighten things out. After sifting through an interminable voice menu to direct my call, a recording said "to assure great customer service, we'd like you to take a satisfaction survey upon completion of your call. If you are willing to take this survey, please say yes." "Thank you for taking our survey!" said a new voice. "On a scale of 1-to-5, how satisfied were you with the answers you just received from your service representative?" That's right - they skipped helping me and went straight to the satisfaction survey. Our tax dollars at work. So I called again and this time said I wouldn't take the survey. After which I got a human who said that she couldn't help me because of privacy requirements which allow them to keep their complete and all-encompassing ineptitude secret. (Okay, I added that last bit). "I don't know what just happened," she said anxiously. "They just said they'd reinstate a plan and that I'd have to pay new premiums for it to go in effect." This despite the fact that she'd paid already. "And I'm not sure which plan they renewed," my daughter added. "What if it was my old plan instead of my new plan? Or what if it was only my dental plan?" "You got a dental plan?" "I didn't sign up for one. They just tell me I have it." So I called Blue Cross to see if the reauthorization from Das Marketplace had gone through yet, and I was told that it it wouldn't be in their system until Tuesday at the very earliest. So the same day that a certain annoying sphincter-in-chief will be farting out his State of the Union speech will be the very earliest that I can perhaps find out if my daughter's situation has been fixed, is still the same, or has been made worse. This is more than a petty annoyance. The "new" doctor on my daughter's mysteriously terminated plan isn't taking patients (despite what Healthcare.gov claimed) and so my daughter doesn't have anyone to write her vital prescriptions. Nor can she find an actual in-plan doctor until she's restored to Blue Cross's good graces and see their provider list. She's supposed to see a neurologist for her epilepsy on Thursday but no longer knows if she has insurance or if he'll even see her. And sadly, stress increases the likelihood of her having a seizure and all that goes along with it (possible ambulance and medical costs, loss of the ability to drive, and more). Bottom line: even if you think you're insured, if you went through the Marketplace (Healthcare.gov) the government can and will shut off your insurance like turning out a light switch. No warning, no explanation, no reason, and quite possibly no recourse. And don't forget, even with your insurance card in your hot little hand, you may not know your insurance has been terminated until you most need it. My daughter wasn't warned or notified - odds are that you won't be either. Which will be something interesting for you to reflect on following an automobile accident, when you're bleeding out in an ambulance being shuttled from one hospital to another looking for one who will take a government-labeled indigent (as opposed to immigrants and illegals, who can get in anywhere). Never before has the government had such a convenient, all-encompassing tool to screw up individual lives by whim, ineptitude, or malicious intent. The cost in lost time, productivity (look who couldn't write Hope n' Change today? ), and potential revenues is incalculable. But even that pales in comparison to the anguish, suffering and death which Obamacare is already causing and will continue to cause long after his actual administration is just a painful memory.